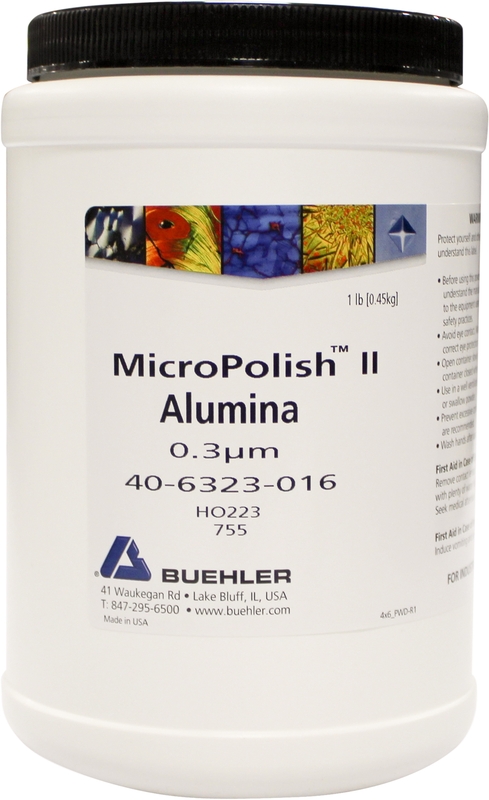 16 oz (1 lb) MicroPolish II alumina polishing powder. MicroPolish II contains high quality deagglomerated alumina oxide particules for final polishing. They provide better surface finishes than agglomerated versions and a suitable for most minerals and metals.